Our second full day at sea was a scenic cruise day. We were supposed to go into Tracy Arm, but when we got there it was too foggy, so we turned around and went into another nearby fjord, which I think was called Endicott Arm. 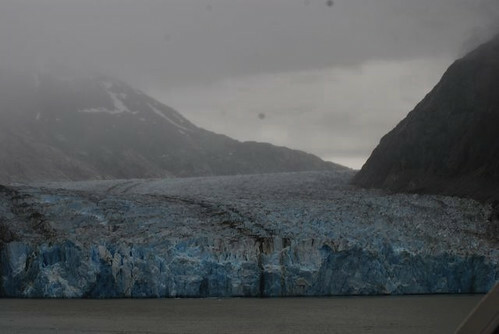 The scenery of the fjord was great and at the end we got to see a pretty good glacier. Mik was too lazy to go out on the verandah much, but it was nice that we had one, as he wouldn't have seen any of it if we hadn't. 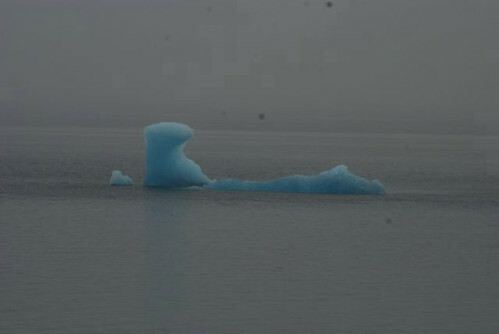 I enjoyed seeing the various icebergs and bergy bits. 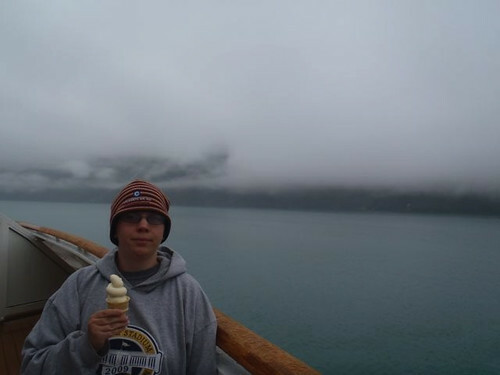 The really fun part, though, was eating ice cream while cruising through the fjord. 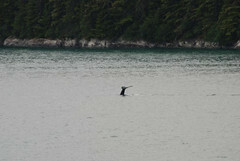 The best part of the day was seeing whales. We saw at least 10. We mainly saw the blowholes, but also saw a few of the tales.